The movie seems to have many small story lines coupled with a main one, the main story line being how death can bring a family closer together. The movie is based on a novel of the same name; the story revolves around Matt King (George Clooney) a land baron in Hawaii. 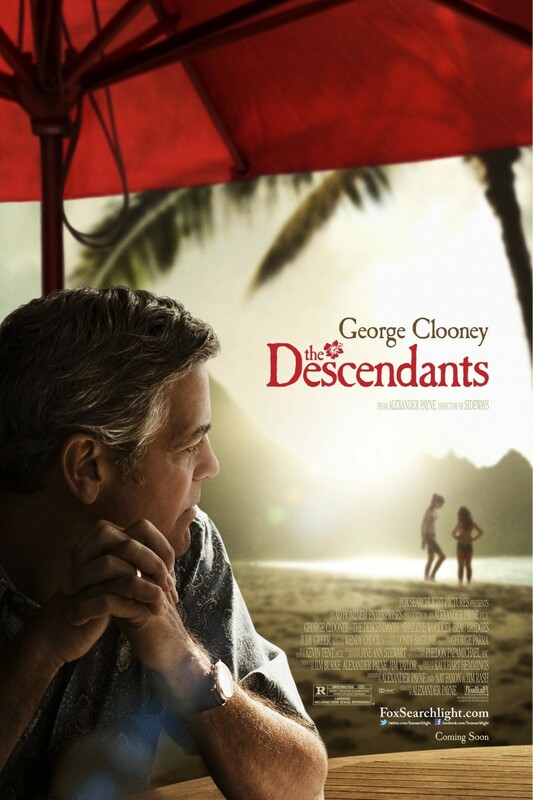 In the beginning of the movie they show Matt King’s wife in a coma because of a boating accident and soon he learns the she’s not going to make it, after this he brings his elder daughter Alexandra King (Shailene Woodley) home from boarding school, Matt King tries to reconnect with his two daughters Alexandra King and Scottie King (Amara Miller). Now the fun begins, Alexandra King tells daddy about the affair his dying wife had. Don’t worry it’s not a spoiler or anything, this happens in the first 20 minutes of the movie, after this Matt king tries to find out who his wife’s secrete guy is whilst trying to make a decision on whether to sell or keep the land his forefathers gave him and his family whilst trying to tell his family and his wife’s family that his wife is dying whilst trying to reconnect with his two daughters, lost my breath there. Like I said before, it has many parallel stories. The movie is really good and just like its story there are many good things that happen parallelly that make this movie must see. George Clooney’s acting is really good and the cinematography is a treat to the eyes and there are some light moments in the movie too, especially when Sid (Nick Krause) comes in the scene, Sid shows us that there is a pot head in all of us. Have to give it up to Alexander Payne he’s done a great job with the direction and the screenplay. The movie shows you even in paradise life still s**ks, it also shows us that life is a gift. I don’t know if it’s Hawaii but the visuals were amazing, some of the sceneries and the way they were shown on screen were just amazing, if you ask me that was the most outstanding feature of the movie, the cinematography. To sum up, good story, good acting, and great cinematography! A really heartwarming movie. Eventually life gets to everybody.